How is it already August?! This summer is absolutely flying by - but it's brought with it some fantastic new crime novels, so I'm far from complaining! July was a stellar month for new releases. From new-to-me authors to old favorites, my reading list was dominated by really stellar reads this month—and I'm so excited to share my picks for Recommended July Releases with you today! But first, if you haven’t yet read through my monthly release lists for 2018 so far, make sure to check them out via the links below! My Quick Thoughts: Every summer that CBTB has been in existence, there’s been one out-of-left-field psychological thriller that has snuck up on me and totally blown me away. This year, I’ve found my “out-of-left-field” favorite: THE NIGHT VISITOR by Lucy Atkins. Atkins is an award-winning author and journalist, and THE NIGHT VISITOR is her third novel - but it’s the first of her work that has ever found its way onto my reading list, and boy, am I so glad that it did. After devouring this exceptional psychological thriller, Atkins has secured herself a spot on my list of must-read suspense writers. So impressed was I with Atkins’ writing that I did a little reading about her background, and discovered that she has extensive experience both as a book critic and a teacher of creative writing. Frankly, given the quality of her newest release, I wasn't the least bit surprised. Take it from me: her professional experience shows. Wholly original and utterly unputdownable, THE NIGHT VISITOR delivers a superb story of suspense with a personality all its own. If you love gripping psychological thrillers, quirky and compelling characters, and a story with a totally unique backdrop (an old estate + the world of academia! ), THE NIGHT VISITOR belongs on your reading list. In short: every book should be as fun to read as this one. Plot Details: Professor Olivia Sweetman has worked hard to achieve the life of her dreams, with a high-flying career as a TV presenter and historian, three children, and a talented husband. But as she stands before a crowd at the launch party for her new blockbuster book about a pioneering female surgeon of the Victorian era, she can barely pretend to smile. Her perfect life is in fact a desperate tangle of lies, and if the truth were to come out, she would lose everything. Only one other person knows what Olivia has done: Vivian Tester, the socially awkward, middle-aged housekeeper of a Sussex manor who found the diary on which Olivia's new biography is based. Vivian proved to be remarkably adept at hunting down obscure sources and eventually became Olivia's unofficial research assistant. But the seemingly chance circumstances that brought these two very different women together turn out to be far more complex--and far more sinister--than Olivia ever realized. In a gripping narrative that shifts between London, Sussex, and the idyllic South of France, Olivia and Vivian will learn knife-edged truths about themselves and discover just how far each will go to protect her reputation. My Quick Thoughts: It’s hard to imagine a summer read better tailored to Crime by the Book than a Scandinavian psychological suspense novel, aka a combination of my two favorite kinds of crime books—and that’s exactly what readers will get in THE BOY AT THE DOOR by Alex Dahl. As an avid reader of Nordic Noir, I was fascinated by the concept of a psychological suspense story set against a Nordic backdrop; I couldn’t wait to see how Dahl would balance these two often extremely different styles of crime writing. What I discovered in THE BOY AT THE DOOR well exceeded my expectations. A binge-worthy story of suspense with dark and weighty undercurrents, Dahl’s first novel strikes an excellent balance between the melancholy and gloom of Nordic crime and the breezy pacing of your favorite beach read. Despite its well-deserved “binge-read” status, THE BOY AT THE DOOR tackles genuinely difficult themes: most prominently, addiction and the pressures of motherhood take center stage here. It’s a winning combination, and, set against the atmospheric and picturesque backdrop of Scandinavia, Dahl’s tense and menacing story of familial suspense is a summer standout. Add this to your summer reading list and set aside a weekend to tear through its addictive and taut interpersonal mystery. Plot Details: Cecilia Wilborg has it all--a loving husband, two beautiful daughters and a gorgeous home in the affluent Norwegian town of Sandefjord. And she works hard to keep it all together. Too hard. Because one mistake from her past could bring it all crashing down around her. My Quick Thoughts: What do you get when you cross a creepy cabin in the woods with drama worthy of Pretty Little Liars? Meet one of the most deliciously entertaining “popcorn reads” of the summer: THE LAST TIME I LIED by Riley Sager. Sager took the crime writing world by storm last year with his stellar psychological thriller FINAL GIRLS, and this July, he’s back—and, with his newest release, he’s proving once and for all that he’s here to stay. In his New York Times bestselling novel THE LAST TIME I LIED, Sager leans into a subtle brand of suspense driven by interpersonal secrets, richly-developed atmosphere, and drama a plenty. Where FINAL GIRLS was an ode to slasher films, THE LAST TIME I LIED isn’t quite as dark or bloody—though it’s no feel-good summer camp story, either. Sager strikes a pitch-perfect balance between horror elements and a lighter suspense plotline in his newest book, and the result is an endlessly entertaining summer binge-read. Pick up THE LAST TIME I LIED for its gorgeous cover, stay for its addictive and twisty story of years-old secrets and a summer vacation gone very wrong. Plot Details: Two Truths and a Lie. The girls played it all the time in their cabin at Camp Nightingale. Vivian, Natalie, Allison, and first-time camper Emma Davis, the youngest of the group. But the games ended the night Emma sleepily watched the others sneak out of the cabin into the darkness. The last she--or anyone--saw of them was Vivian closing the cabin door behind her, hushing Emma with a finger pressed to her lips. 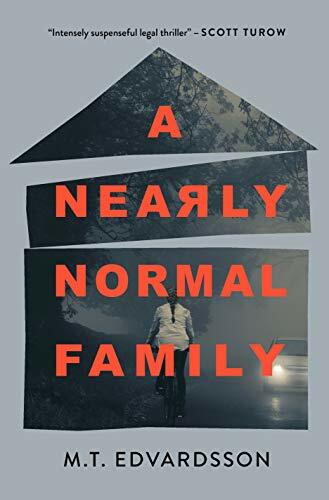 My Quick Thoughts: As a crime fiction reader, what could be better than finding a psychological thriller that is so effective and immersive in its portrayal of an unhinged mindset that it actually makes you start to feel just a bit unhinged yourself? Finding a book that does this effectively is never easy, but today’s featured title does it in spades. IN THE VINES by Shannon Kirk will make for twisted, page-turning summer reading - a shocking and purely entertaining psychological suspense novel for the reader who doesn’t want to just see the deterioration of the story’s main characters, but wants to feel it, too. Kirk has written an immersive, addictive story of toxic family secrets and the fallout of their surfacing. From its atmospheric backdrop (a seaside New England estate, now falling into disrepair) to its vivid, impactful writing and (let’s not forget) genuinely twisted central mystery, IN THE VINES delivers the total package - and makes for the perfect addition to your summer reading list. My Quick Thoughts: Years before starting Crime by the Book, I tried reading the original English translation of Lars Kepler’s THE HYPNOTIST… and unfortunately, I wasn’t able to finish it. Fast forward to late 2017 when I received a galley of Kepler’s THE SANDMAN and discovered just what an enormous difference a translator and editor can make. I absolutely loved THE SANDMAN, and ever since have been itching to dig in to the re-translated, re-edited editions of Kepler’s backlist that are slated to release from Vintage Crime/Black Lizard in 2018. Book one in husband-and-wife duo Lars Kepler's series, THE HYPNOTIST introduces readers to Joona Linna, the complex, dedicated detective who takes center stage in Kepler's bestselling books. Readers will find THE HYPNOTIST a supremely accessible addition to their Nordic Noir library; where Scandinavian crime novels tend to feature layered, brooding plots, Kepler balances that complexity of plotting with genuinely page-turning pacing - and the result is a gripping thriller you’ll want to devour in just a couple sittings. While THE SANDMAN is (thus far!) my favorite Kepler novel I’ve read, this new edition of THE HYPNOTIST is a fantastic addition to your summer reading list, and a welcome reminder of just what a difference a top-notch translator (and editor, for that matter!) can make for those of us who love reading translated crime fiction. Plot Details: A gruesome triple homicide attracts the interest of Detective Joona Linna of the National Crime Police. There's only one surviving witness--the boy whose family was killed before his eyes. The only problem is, he's lapsed into a catatonic state.